Growing Lunch is a school garden grant program administered through the Mississippi Department of Agriculture and Commerce with the USDA Specialty Crop Block Grant Program. Eligible schools can receive a grant up to $500 to purchase supplies needed to plant a school garden. Growing Lunch seeks to enhance the Farm to School program across the state. Farm to School provides locally-grown produce to our state’s schools and also seeks to educate students on agriculture. This program will act as an educational tool to enhance the knowledge of school-aged children on agriculture, healthy eating, and how food arrives on their plate three times a day. As society becomes increasingly further away from agricultural practices and the farm, it remains pertinent to educate students on the origin of their food; MDAC has designated a website for those interested in the Farm to School Program and educational resources and materials for Farm to School Week, www.farmtoschoolweek.org. 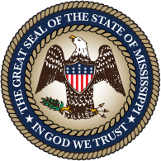 All schools, K-12, and pre-schools in the State of Mississippi are eligible to apply, although this program is ideally geared towards younger school-aged children. Schools that already have a school garden may apply to further their production. It is encouraged that schools applying have support from their local extension office or Master Gardeners. This program is on a first come, first serve basis. Only one grant can be awarded per school. Schools must fill out the application and have a dedicated coordinator. Schools that have received a Growing Lunch grant from MDAC in the past are not eligible to apply for more funds at this time. If you have questions regarding the cost-share program, please contact Susan Head, 601.359.1196 or susan@mdac.ms.gov . Growing Lunch School Garden Grants for preschools have been allocated at this time, funds still remain for K-12 schools.